Our product range includes a wide range of rpu560 security module. RPU560 Security Module is a security module that can autonomously maintain the engine running and protect it in the case of master control fault. 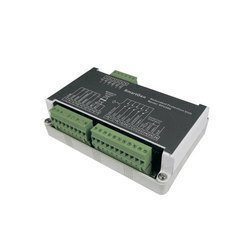 The module is connected to HMC9000 via CONBUS port. All parameters and alarm types can be checked on the master controller. It can be widely used in marine emergency units, main propulsion units, main generator units and pumping units. Optional working mode; one is synchronized with the master controller to protect engine normal running; the other is protect engine automatically when master controller failure occurs. Auxiliary output user-set; output when the output port is active. Modular design, self-extinguishing ABS plastic base, compactness structure, small size, easy use.